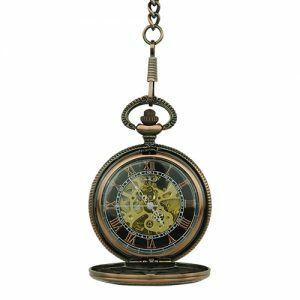 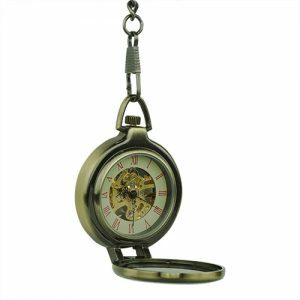 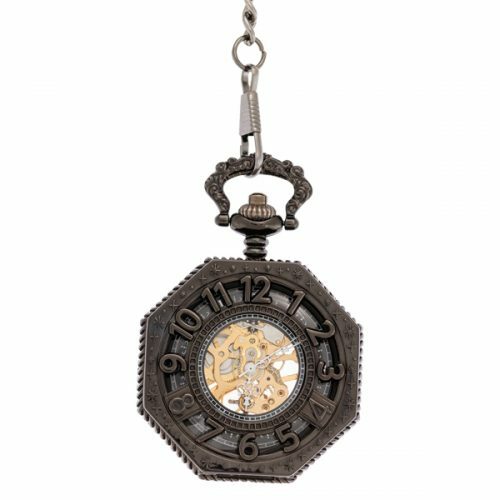 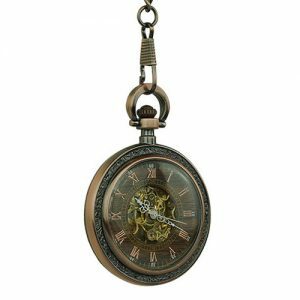 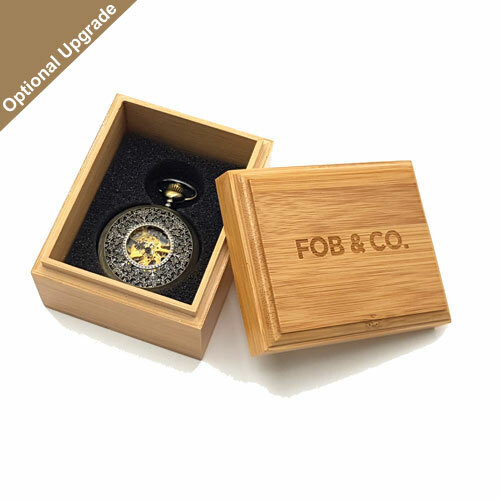 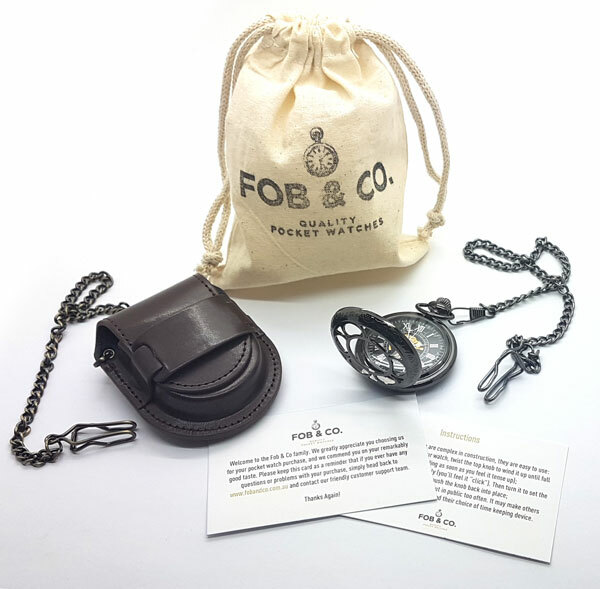 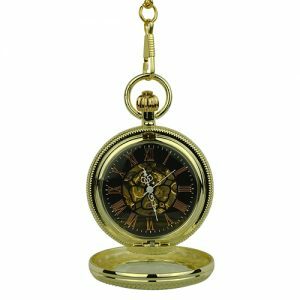 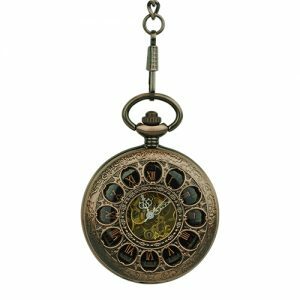 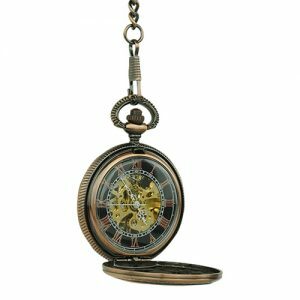 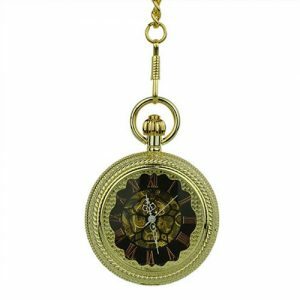 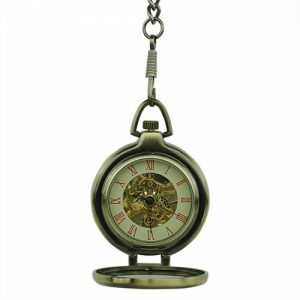 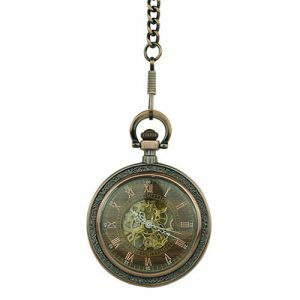 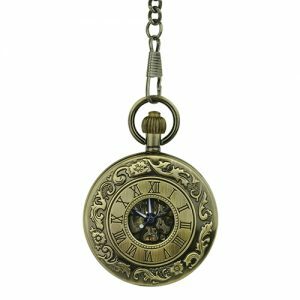 Octagon Bold Numbers Half Hunter Pocket Watch - Fob & Co. 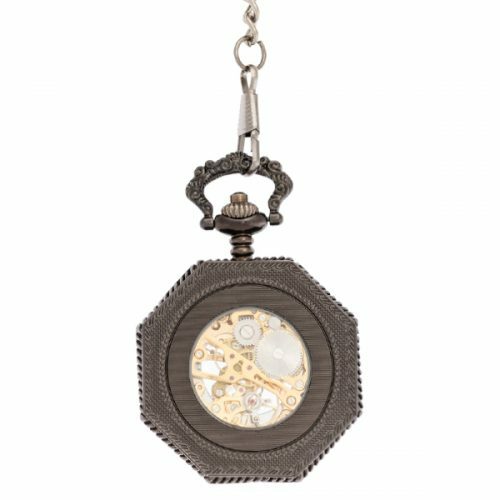 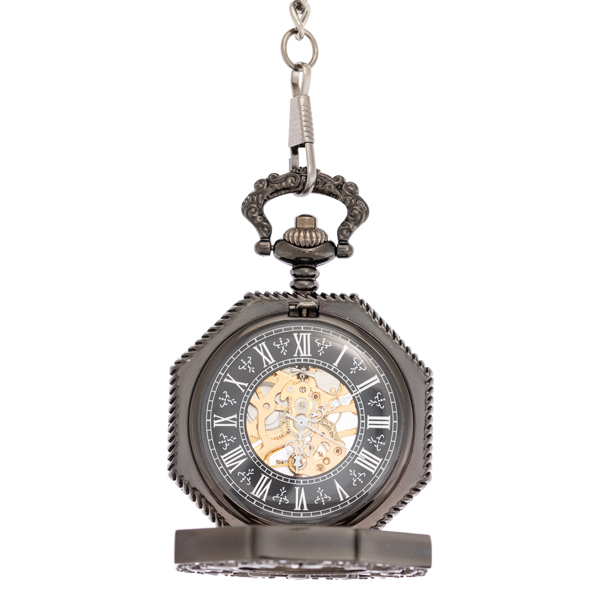 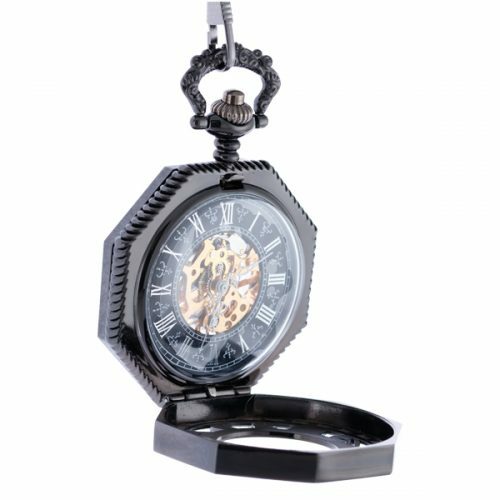 This pocket watch has black frame and half hunter cover in an octagon shape. 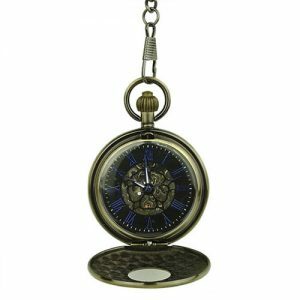 The cover is ringed with large numbers and the viewing window in the centre reveals a see-through watch design to gold-coloured inner workings.